Thursday, May 2, departing at 7:30am (7:00am from the subway). Cost: 360 RMB (325 RMB for members); Difficulty Level 4+. 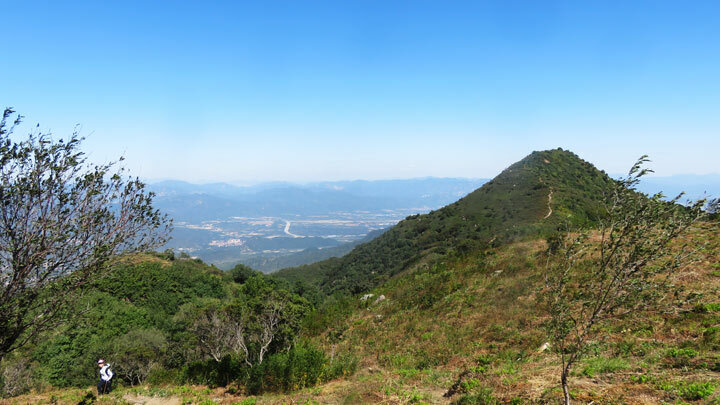 In Brief: A variation of our Vulture Rock Ridge Loop hike, finishing on the Beijing side of the hills instead of completing the loop. Great views and hill climbing exercise. A broad trail leads to Vulture Rock ridge. 5–6 hours start to finish over 16km. 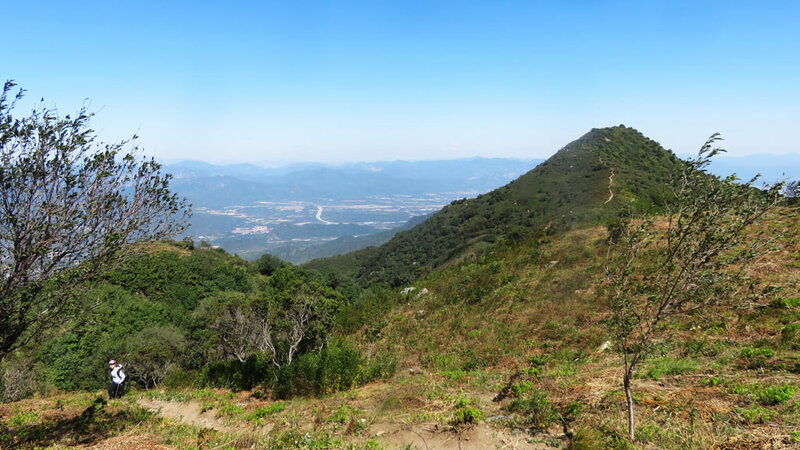 This is a variation of our regular Vulture Rock Ridge Loop hike where we follow an old pilgrim’s trail down the Beijing to finish the hike, instead of doing the loop. 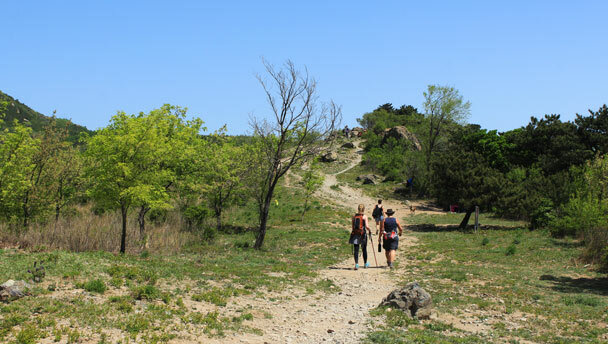 We’ll walk all of Vulture Rock Ridge and then following what’s left of the old paved path down through the forested hills on the Beijing side of the ridge. 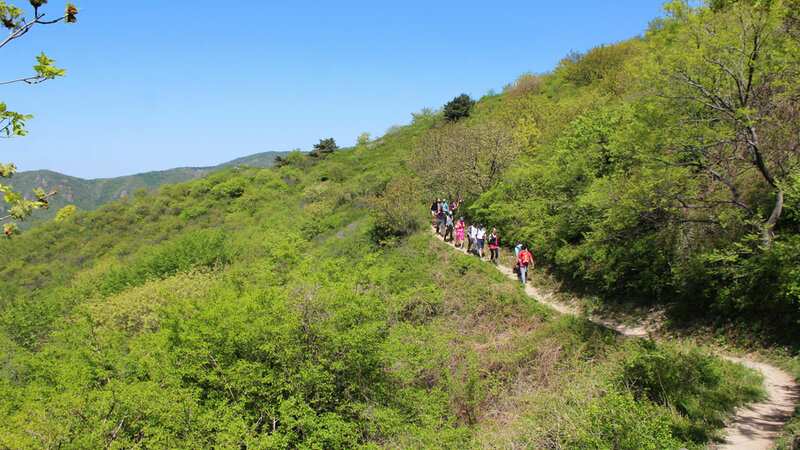 This hike starts from a village close by to Miaofeng Temple, in Beijing’s West Mountains. We’ll follow part of an old pilgrims’ trail along a ridge with excellent views, up to a plateau, then up and along the Vulture Rock Ridge. We have other hikes in the same area that start or finish in this village, and we’ll cross some of those trails along the way. From the saddle we’ll follow a trail along the hillside, enjoying the open view of the surrounding mountains, and perhaps meeting some donkeys and firewardens. The trail takes us all the way along the ridge, then down a valley and through a straggly pine forest, passing the house of the local firewarden boss. We’ll follow that road for a little while, and then get back on to hill trails to reach the highest point on the hike, at an altitude of 1,265m. The views are worth the climb – mountains all around, and views of the flat area that is slowly being filled by Beijing’s urban sprawl. From the peak we continue along the ridgeline, passing a marker on the intersection of three of Beijing’s districts. Coming down a steep dirt trail we arrive at a fork in the trail– to the right, the trail down the Beijing side of the hills; to the left, the trail that would take us back to the village where we started. Today we’re heading over to the Beijing side, following a great trail along the side of a larger peak, passing by crags and under rocky outcrops as we walk though deciduous forest. Just after we come out of the forest we’ll find another old teahouse, and just past that we’ll start the long descent down the Beijing side of the mountains, and from here it’s down all the way – a descent of nearly 900 metres while walking 5 kilometres. The first part of the descent is down an open ridgelines, with views of the northwestern suburbs of Beijing city. As we get lower, the trail takes us through a forested valley, crossing a little stream and passing the ruins of more teahouses. Some of these old teahouses look to have been quite big, judging by the height and thickness of the remaining walls. Just before the end of the hike we cross a firebreak road, and then follow a dirt trail down to a small village where we’ll finish the hike. There’s a long downhill to finish the hike, which will be tough on the knees. 31 photos from a late-spring hike across the hills in west Beijing.